We offer great rates and coverage for your Eurobungy (also known as euro bungees.) The CIA's specialty is in insuring the amusement industry as well as other types of industries. Our quotes take into consideration your experience in the industry, your insurance track record and the units that you own and operate. This way we are able to provide you with affordable prices and coverage for your Eurobungy. 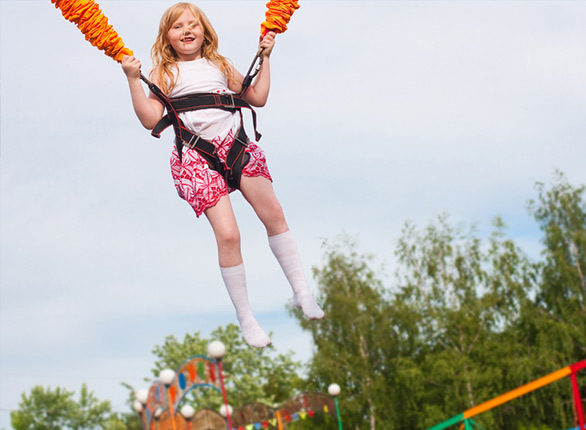 Whether you have just one Eurobungy or other amusement devices as well we have the insurance policy for you! Other types of devices we can insure include: Mechanical Bulls, Inflatable Devices, Portable Rock Walls, Amusement Rides & more! We can also insure devices that move from place to place such as carnivals & permanent setup's such as at a Family Fun Center. An important side note, if you are moving devices to place to place on a trailer or truck, make sure that you have a proper commercial auto policy, personal automobile policies usually exclude business use. On top of your general liability Eurobungy insurance policy there are some additional policies that you may need to make sure that your business is fully covered.